The Lodge annually gives two awards of $2,000 each to students of Italian origin entering or attending post-secondary education and one award of $1,000 to students entering a trade program. Each year we are faced with the difficult task of assessing numerous qualified and successful Italian students. We have been gratified and excited to realize the number of Italian students who every year achieve high grades and involve themselves in the Italian and Winnipeg communities. They are a credit to the Italian community and to our City. In 2018 we partnered with the Winnipeg Foundation to ensure that our student awards would continue in perpetuity, so they are now given through our Legacy Fund. For more information on our Legacy Fund, and the benefits of making tax-deductible donations to this fund, click here. Have not previously received a Sons of Italy award. Note that there are other awards available from Sons of Italy. Applications must be received no later than December 15. The application form (PDF) can be downloaded by clicking: application form If you have questions, please send them by email to Cam Giavedoni, our Student Awards Chair. We are so proud of our scholarship winners. They present a very positive reflection on our community and certainly bode well for our future. See our News section for images of our 2018 winners accepting their awards. 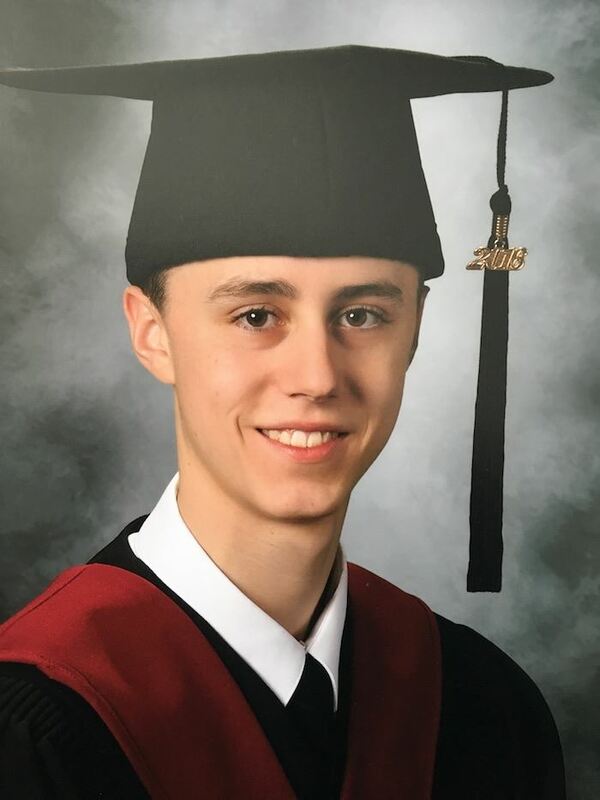 Lucas Mosienko graduated from Mennonite Brethren Colligate Institute in 2018 with first class honours. He is currently enrolled at the University of Winnipeg in the Faculty of Science completing an undergraduate degree in Neuroscience, with hopes for a career in medicine as a Cardiac Anesthesiologist. Lucas has been actively involved in research in the field of Cardiac Anesthesiology, working as a research assistant at St. Boniface Hospital in the department of Anesthesia and Peri-operative Medicine. It is through this experience that Lucas has been able to act as a translator for an Italian patient and put his second language to good use. Lucas has been volunteering at Misericordia Health Centre since 2015. Lucas made a point of seeking out residents who immigrated to Canada from Italy to connect with them in Italian and listen to their stories. Lucas continues to further his knowledge in Italian by taking Italian courses at the University of Winnipeg. Lucas is a proud Italian and attempts to bring his heritage and love of his culture into all aspects of his life. Lucas would like thank The Sons of Italy and all those who were involved with rewarding him with this scholarship as it will be most helpful in his academic studies. Francesca Silla graduated from the University of Manitoba in 2017 with an undergraduate degree in Psychology (Honours). She is now pursuing a Masters degree in School Psychology at the University of Manitoba. With her grandparents and parents having all been born in Italy, Francesca has an especially close tie to the Italian culture. Her family’s Italian history has always made her proud and has motivated her to contribute to the Italian community in several meaningful ways, primarily through music. Francesca has sung at many Italian events including the Italian Pavilion’s Folklorama for 6 years. She has also sung at Holy Rosary Parish for the past 5 years, where she sings in the choir as well as at many funerals and weddings. Being involved in the Italian community in these important ways has provided Francesca with a strong sense of pride and belonging. Francesca is extremely flattered, honoured and grateful to have received the Sons of Italy scholarship. Her Italian heritage means absolutely everything to her, and her involvement in the Italian community is something she treasures and feels very fortunate to have. 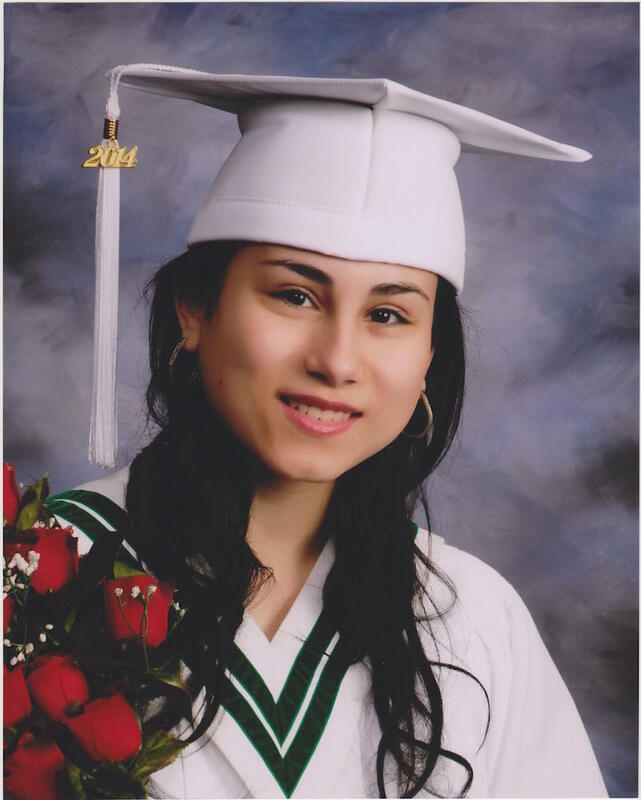 She looks forward to continuing her education and involvement in the Italian community. Dante Rosati has graduated from Elmwood High School in 2017 with honors, receiving the award for the highest GPA in graphic design. He has been accepted into the engineering program at the University of Manitoba. Dante was enrolled in the Dante Alighieri Italian School for two years. He has volunteered with the Son’s of Italy Christmas Eve Feast in the past. He has also volunteered with several other organizations through the years including Habitat for Humanity, Kids Feast, SADD and the Santa Claus Parade. Learning about the Italian culture has always been an interest to Dante and something he has pursued through family and the Dante Alighieri. This scholarship from the Son’s of Italy is something that will allow Dante to pursue his goals in education but also shows the commitment of the Italian community to its members. 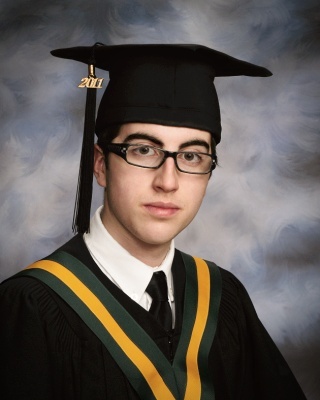 Davide Verrelli graduated from Saint Paul’s High School and kept a place on the gold honour roll throughout his time there. He is currently studying science at the Canadian Mennonite University, with the intention of pursuing a career in medicine. Davide places a high value on family in his life, and brings this same love to the broader community, often in the form of music. He assists in leading his parish of Holy Cross in music ministry, and sings at various gatherings in the Italian community such as Folklorama and Viva Italia. Davide has always been deeply inspired by the Italian culture and seeks to strengthen his proficiency in the language by taking courses at the U of W next year. Davide is extremely humbled by the Sons of Italy’s benefaction towards his studies and wishes to express his sincerest gratitude. He will continue to dedicate himself to his work, so that he may bring his best in service of the Italian community and Winnipeg at large. 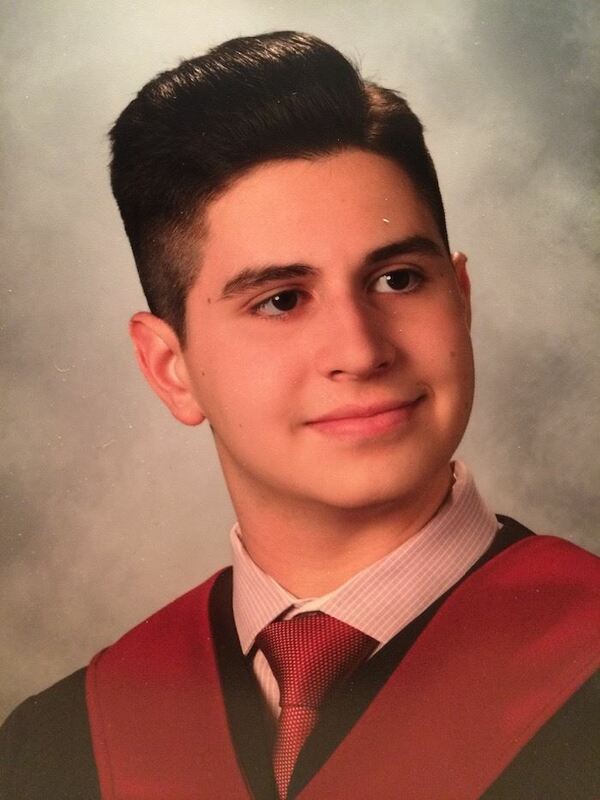 Pietro Salvatore II Cianflone graduated from St. Paul’s High School and received the President’s Silver Medal for obtaining the second-highest average of his graduating class. He received the highest standing achievement in biology and English, as well as the St. Paul’s College Alumni and Friends Association Entrance Scholarship in his graduating year. He continues his studies in the Faculty of Science, in the direct entry program, at the University of Manitoba. He strives to attain a general degree in science in pursuit of a medical career. Pietro has volunteered at the Immaculate Conception Soup Kitchen, Winnipeg Harvest, and Siloam Mission. As a member of the Maroon and White Society, he acted as an ambassador for his student body at both high school events and external proceedings. In addition, he assisted in teaching catechism classes at St. John Brebeuf Parish and served as a peer-tutor in biology and mathematics. 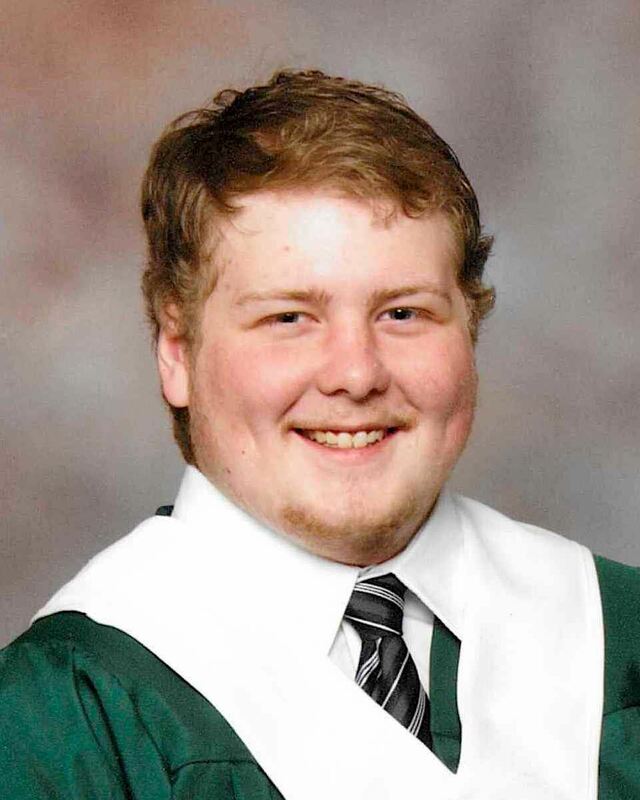 Joshua graduated from St. Paul's High School in June 2016 and achieved honour roll throughout his four years at the school. He currently is attending the University of Manitoba in the Faculty of Science and plans to enter the Faculty of Kinesiology to pursue his goal of becoming a physiotherapist and helping people live healthier, more comfortable lives. Joshua is proud of his Italian heritage and is family-oriented, hard working and caring. He has volunteered for many events in and out of the Italian community, including the Holy Rosary Church. Joshua has assisted the grade 6 catechism, served as alterably, served at the annual Spaghetti dinner and helped at various catechism social functions. He has also attended the Dante Alighieri Italian School for four years. Joshua is thankful for all of the help he has received from his parents and also thanks Sons of Italy for the generous scholarship, helping him achieve his goals. Domenica Bueti is a proud graduate of Collège Béliveau andthe Dante Alighieri Italian School. 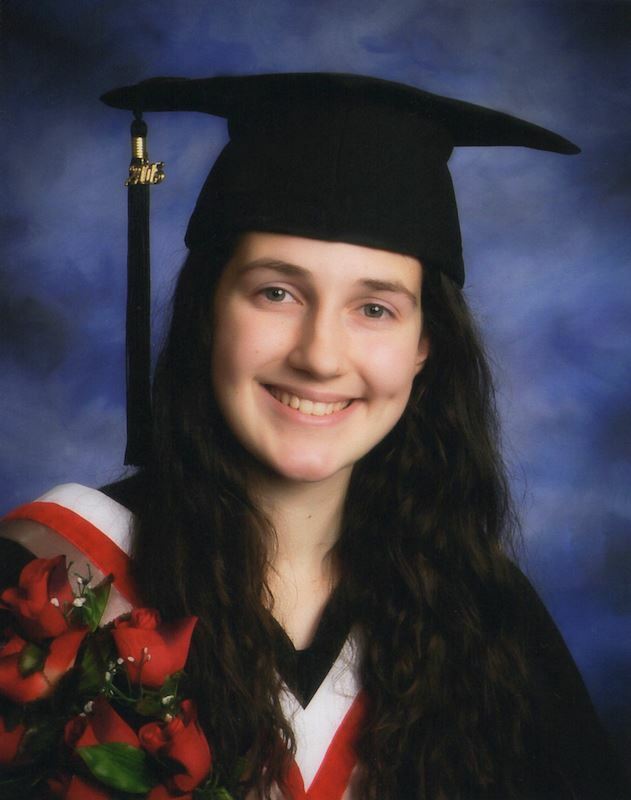 Graduating from high school with top marks in her class, she is continuing her education at the University of Manitoba in the Faculty of Science. Italian culture has always played an important role in her life and has shaped her into the motivated young woman she is today. Born from parents of Italian descent, she learned to speak Italian before she could speak English. Her family would travel to Italy every three years to expose her and her sister to the Italian culture, language and to reconnect with family. She enjoys volunteering with the Holy Rosary Youth Group, participating at various movie nights, spaghetti dinners and fundraising events. She also performs with Le Ragazze Italiane folk dance group. 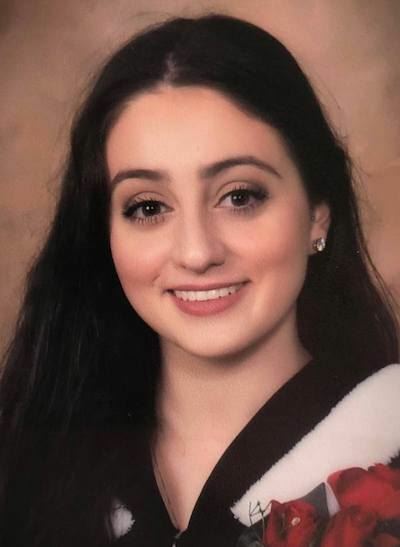 Through Dante Alighieri Italian School, Holy Rosary Youth Group and dancing in Folklorama, she has had the chance to meet many lifelong friends who share the same love and interest in the Italian culture. I graduated last year from Kelvin High School with a French Immersion diploma and a 95% average. I am in my first year at the University of Winnipeg enrolled in the pre-medicine program. I hope to one day become a doctor and save the lives of many people. From a very young age I have been playing soccer. I played on my high school team throughout grades 9-12 and have competed at the provincial level. I am a member of the U of W Women’s soccer team and also play on a premier division women’s team. In my free time I enjoy coaching soccer and am involved with soccer camps. Last summer, I coached and mentored girls from the Spence Street Neighbourhood which provided an opportunity for the girls to play soccer and to get to know others from the area. For the past three years I have volunteered at the Sons of Italy Christmas Eve feast, helping all the kids to get a photo with Santa. I also volunteer at the Saint Boniface Hospital helping and aiding patients. 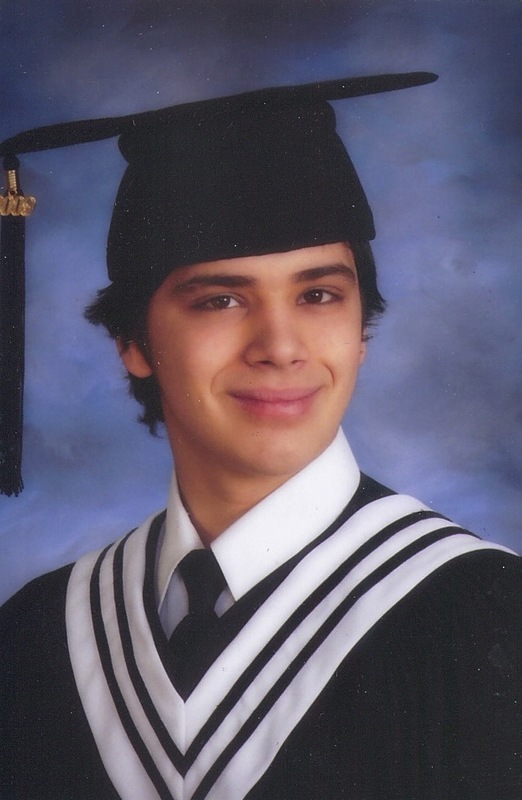 Alexander Loscerbo graduated from St. Paul’s High School and received the Governor General’s Medal and the President’s Gold Medal for obtaining the highest average of his graduating class. He is in currently enrolled in the Faculty of Business at the University of Manitoba in the direct entry program. He plans to major in actuarial studies and work in the insurance industry of Winnipeg. Alexander has participated in Italian community events such as the Amatese picnic and has volunteered at the Holy Rosary Annual Spaghetti Dinner. He has also volunteered at the Immaculate Conception Soup Kitchen and as a Sunday school teacher at St. Ann’s Parish. 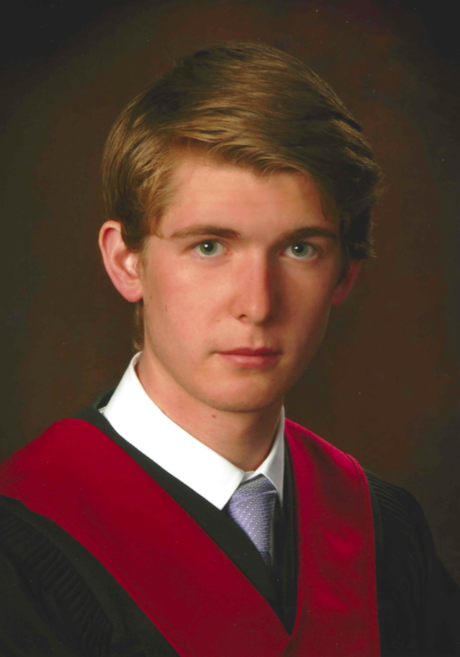 In his Grade 12 year at St. Paul’s, Alexander was a member of the Maroon and White Society and the school’s soccer team. Alexander is extremely grateful for the contribution that the Sons of Italy have made to his education. He feels honoured to be acknowledged by such a successful association that has done so much for the community. Alexander plans to study diligently so that one day he will represent the community of Italians that have made him so proud. As a 2014 graduate of the Collège Louis-Riel, I am proud to say that I am off to the University of Saint-Boniface to start an exciting career as a school teacher. One of my biggest passions in life has always been languages and knowing four of them makes me very proud! The one goal I will always strive for throughout my career, would be to one day have a recognized school here in Winnipeg of Italian language to show kids the importance of the language that permitted our past to now be our future. Attending the Dante Alighieri Italian School for 10 years has made me truly value the importance of holding on to one’s roots. Being active within the Italian community has been as much of a responsibility as a privilege. The Italian Pavilion has always offered me a chance to share this love for the Italian culture, through singing for three consecutive years, dancing with the Splendore d’Italia Folk Dancers and representing the face of our Italian youth as the Pavilion’s Youth Ambassador in 2013. When I am not on stage at Folklorama, you will find me singing for the community or speaking in Calabrese to my nonni! Thank you nonno and nonna for your beautiful language! I would like to give a huge thank you to the Sons of Italy, Garibaldi Lodge for bringing me closer in achieving this dream. Grazie mille! 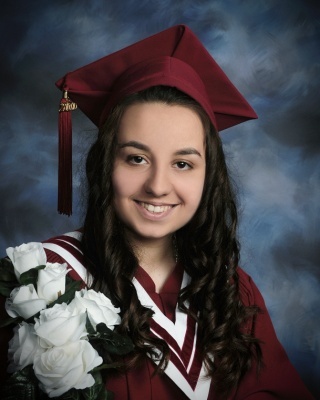 Alessandra Baksina was on the honour roll at Glenlawn Collegiate for four years and is currently in the direct entry program at the University of Manitoba through the Asper’s School of Business – working toward a degree in business, majoring in both international business and marketing in the retail industry. “Ali” has been a volunteer at the Sons of Italy Christmas Eve Feast for four years, helping to set-up gift bags and serving dessert. 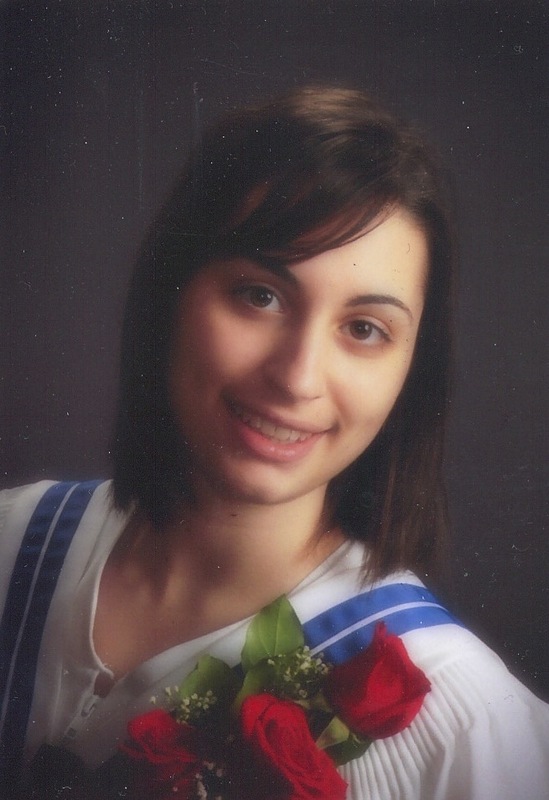 She has also volunteered at Folklorama and in 2008 was the youth ambassador for the Italian pavilion. She was also an active dancer in the Sons of Italy Splendore D’Italia Folk Dancers for 13 years, and received the group’s scholarship in 2013. 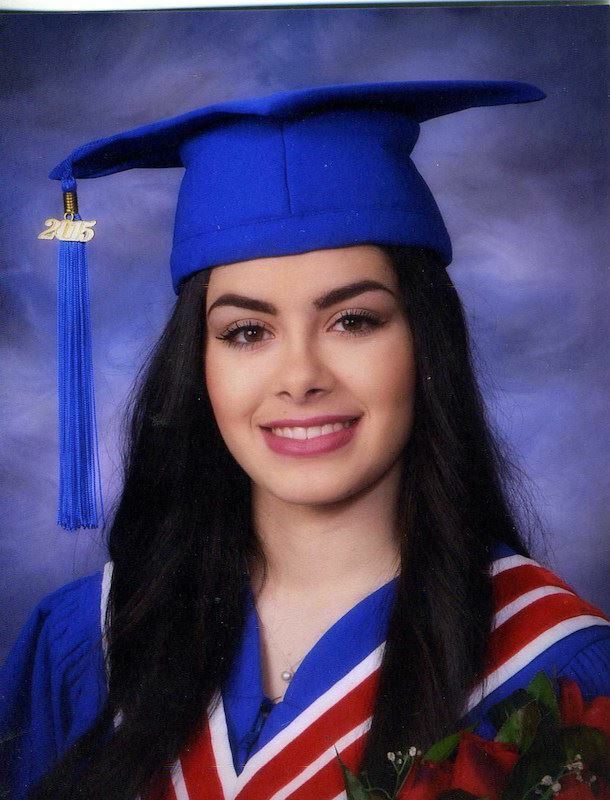 “I am extremely proud of my Italian background and would like to say thank-you to the Sons of Italy for this scholarship to help me to reach my future goals at University." Rosie Baksina has been involved in the Italian community through volunteering at Folklorama, by dancing with the Sons of Italy Splendore D’Italia Folk Dancers and then in the Mercato when she wasn’t dancing anymore. She has been serving at the annual Sons of Italy Christmas Eve Feast since 2009 and was also a part of the Sons of Italy Leonardo Da Vinci Youth Group. To continue learning about my Italian heritage, she will be learning Italian in University. 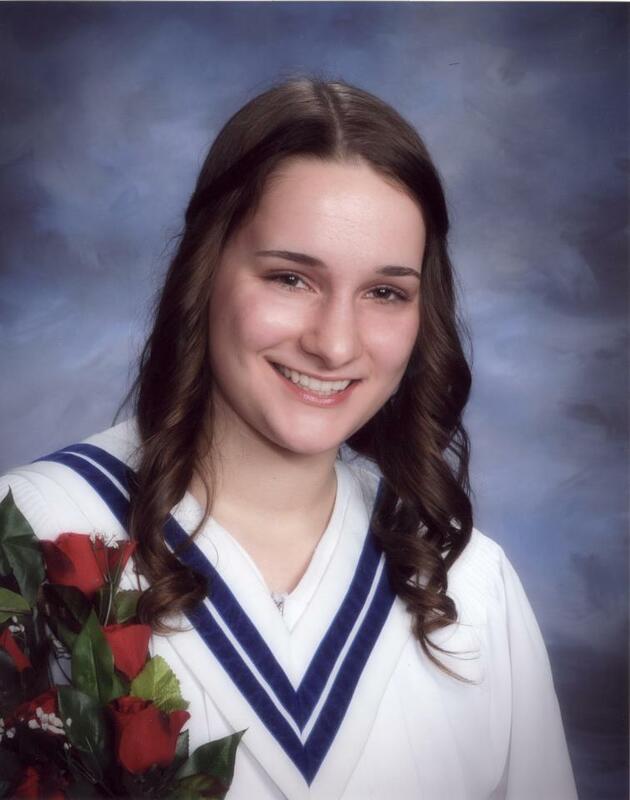 Amanda Loscerbo graduated from St. Mary’s Academy and received the Governor General’s Medal for obtaining the highest average of her graduating class. 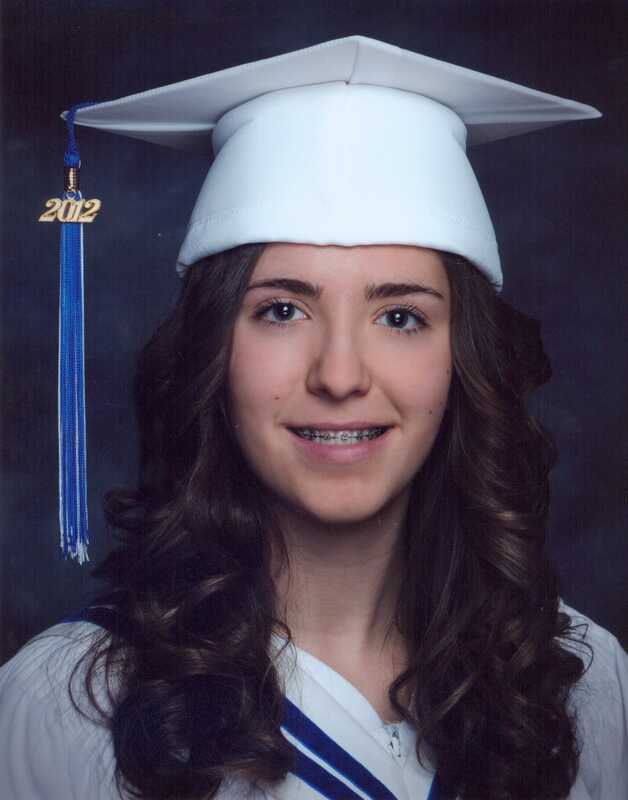 In addition to this she received the top mark in four of her Grade 12 courses. She is in the process of completing a Bachelor of Science degree at the University of Winnipeg. She plans to apply to medical school and hopes to become a General Practitioner working in Winnipeg. Amanda has been active in both the Italian community and the community at large. She has been a regular volunteer at Holy Rosary’s Annual Spaghetti Dinner. As well, she has been the editor for the House of Peace “Hope” newsletter for 4 years. She was a member of both the Youth in Philanthropy and Human Rights Team in her senior year. She also teaches Sunday school at St. Anne’s Parish for children participating in the Latin Mass. Amanda is extremely proud of her Italian heritage and would like to thank the Sons of Italy for their contribution to her education. She feels honored to receive the scholarship and hopes to make the Italian community proud by what she accomplishes in her future. 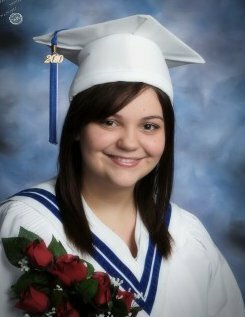 Alana Robert graduated from St. Mary’s Academy with Honours. She is currently studying Political Science and Economics at the University of Manitoba, in pursuit of a career as an International Human Rights Lawyer. Alana represented Manitoba at national debate tournaments in Toronto, Northwest Territories, Montreal and Halifax. Alana was selected as 1 of 6 youth from across Canada to be a World Vision Canadian Youth Ambassador. This past summer, she travelled to Rwanda to volunteer with developing communities. Alana is passionate about social justice, and helped found and initiate the Jams4Justice Project: a provincial wide awareness campaign that strives to help combat human trafficking. Alana was 2011 Folklorama Italian Female Youth Ambassador. She taught Sunday School at Holy Rosary Parish for many years. Alana currently enjoys volunteering with Siloam Mission and Special Olympics. She has also competed nationally and internationally as a rhythmic gymnast. Alana was awarded the YMCA-YWCA Women of Distinction Award of Promise for having made significant contributions to her school and community as well as achieving high academic success. Alana is appreciative of the Son’s of Italy’s generosity. She is inspired by their touching humanitarian work as she too hopes to make the world a better place for all. 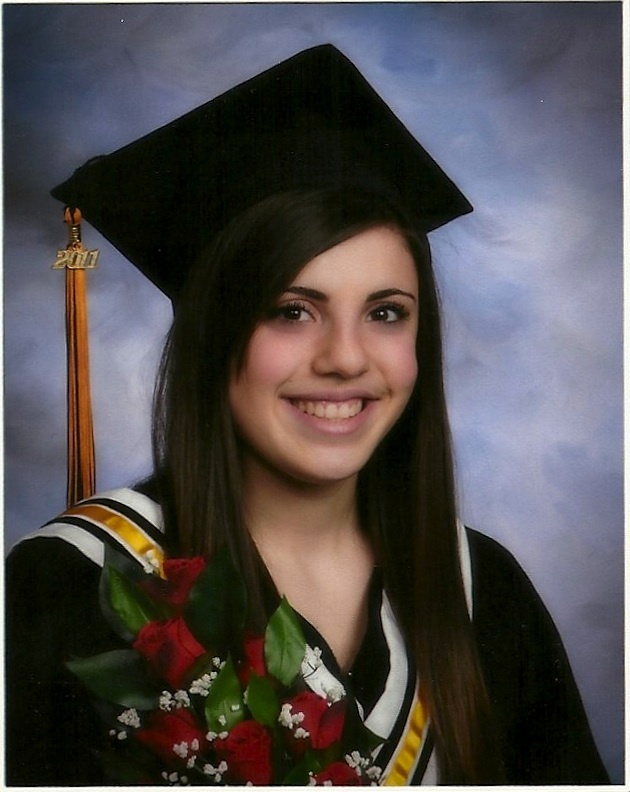 Cristina Ardita graduated from École Garden City Collegiate with a French Immersion diploma in June 2011. 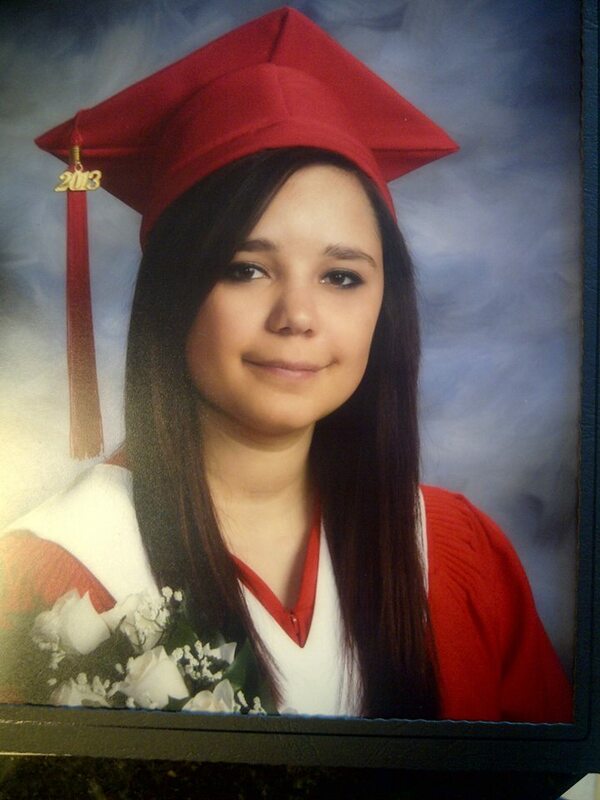 She was accepted and is currently attending the University of Winnipeg's Faculty of Education program. She is pursuing a major in Biology and minor in French with the hope of becoming a French Immersion high school teacher for the Seven Oaks School Division. Cristina has volunteered for the Italian community for countless years. Her passion for teaching first started at Holy Rosary Church where she began teaching the Communion class. She’s always wanted to have a classroom of her own ever since. In 2009 she represented the Italian Pavilion as their Youth Ambassador and continues to volunteer at the pavilion every year. She is also the recipient of the University of Winnipeg Special Entrance Scholarship and the West St.Paul Council Scholarship. Cristina would like to offer her sincerest gratitude to the Sons of Italy for their generous support. Thanks to generous organizations such as the Sons of Italy, her goal is now within reach. direct first year entry into the Faculty of Engineering at the University of Manitoba. 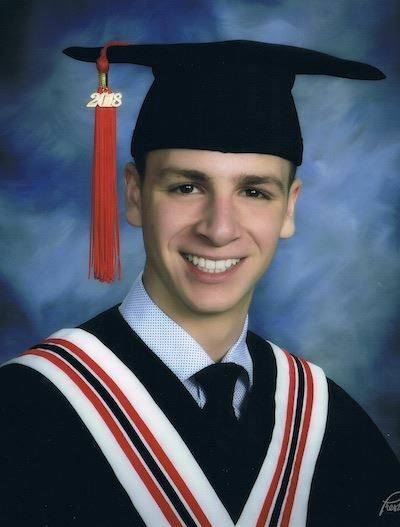 Alessandro, born and raised in Winnipeg attended SJR for all of his scholastic life, achieving Honours Standing every year, along with numerous other accolades, culminating in a University of Manitoba bursary scholarship. He has been active in the Italian Canadian community. He was involved in the Leonardo Da Vinci Youth group as its vice president and thus volunteering with the Sons of Italy at the annual Christmas Eve Feast, a project feeding and providing Christmas spirit to some of the neediest inner city residents. He has been involved with Holy Rosary Parish as an altar boy and Sunday school assistant and with the Centro Caboto's Folklorama. At school, Alessandro was instrumental in the Kendra McBain SJR Cancer Walk that become an annual event, along with spearheading a fundraising initiative to obtain a playground structure for John M. King School in the Inner City. In the community, Alessandro played and coached youth soccer with the Winnipeg Youth Soccer Association. Alessandro would like to thank the Sons of Italy for this scholarship and congratulate the Sons of Italy for their commitment to youth and for being great role models for the youth of today. "One day as we embark on our careers, we too, will give back in a similar fashion as the Sons of Italy, with their very successful charitable initiatives." Franca Petrelli received her grade twelve high school diploma from Daniel McIntyre Collegiate Institute in June 2010. She is now attending the University of Winnipeg and was accepted into the Integrated Program in the Faculty of Education. She hopes to one day teach at the elementary school she attended. Franca has contributed many years of dedication to the Italian Community. She was the Youth Ambassador for the Folkorama Italian Pavilion in 2008. Franca attended the Societa Culturale Dante Alighieri School and completed all of the Winnipeg School Division Italian exams. 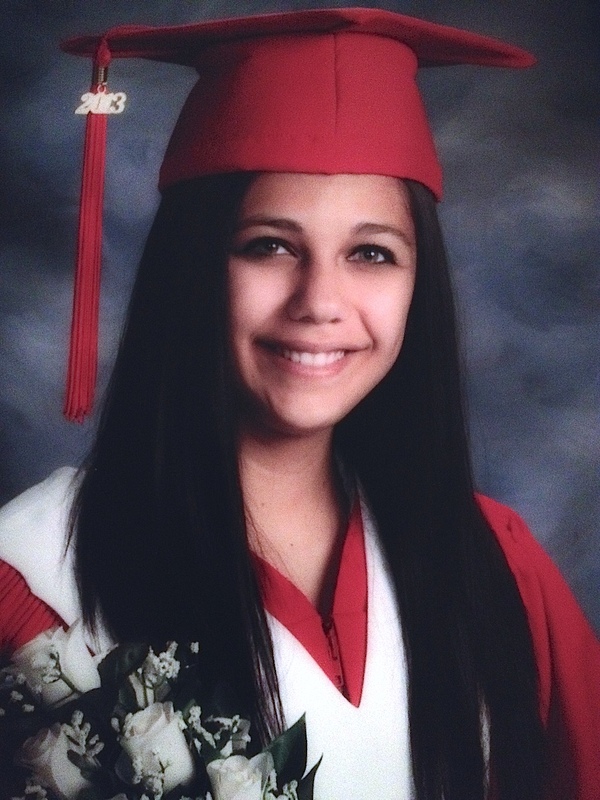 She received the Dante Alighieri Scholarship Award in her grade twelve graduating year. Furthermore, she is now on staff with Dante working as a teacher’s assistant. Franca has been an active member of the Sons of Italy Splendora D’Italia Folk Dancers of Manitoba for about eight years. She received the Splendora D’Italia Scholarship for 2010. She is currently the President of the Sons of Italy Leonardo Da Vinci Youth Group and looks forward to joining the Lupa Di Roma Women’s lodge in the near future. Franca wishes to express her sincerest gratitude to the Sons of Italy, Garibaldi Lodge for being selected as one of this year’s scholarship recipient. This is truly an honour and privilege to her. Natasha Angelina Rossol, born and raised in Winnipeg, has been studying voice for the past 8 years, singing many songs in Italian. She is currently in her first year at the University of Manitoba, and has begun an Introductory Italian course, which she enjoys immensely. Her involvement in the Italian community includes singing and volunteering at various events at the Centro Caboto. Her most significant contribution was singing and acting in the Italian Pavilion for Folklorama 2010. She is extremely grateful to the Sons of Italy for awarding this scholarship to her, and has never been prouder of her Italian heritage. For many years Lisa Bova has volunteered and worked in the Italian community, from being Youth Folklorama Ambassador to teaching at both Holy Rosary Church and the Dante Alighieri Summer Camp. Lisa loves every minute she spends in the community for she realizes that her Italian heritage is very important. She plans to continue to be involved in the Italian community in years to come. The Italian culture is so rich it has intrigued Lisa to major in History as she is currently enrolled in the University of Winnipeg’s integrated Bachelor of Arts and Bachelor of Education program. Braidan completed grade 12 at the Laureate Academy in June of 2009. 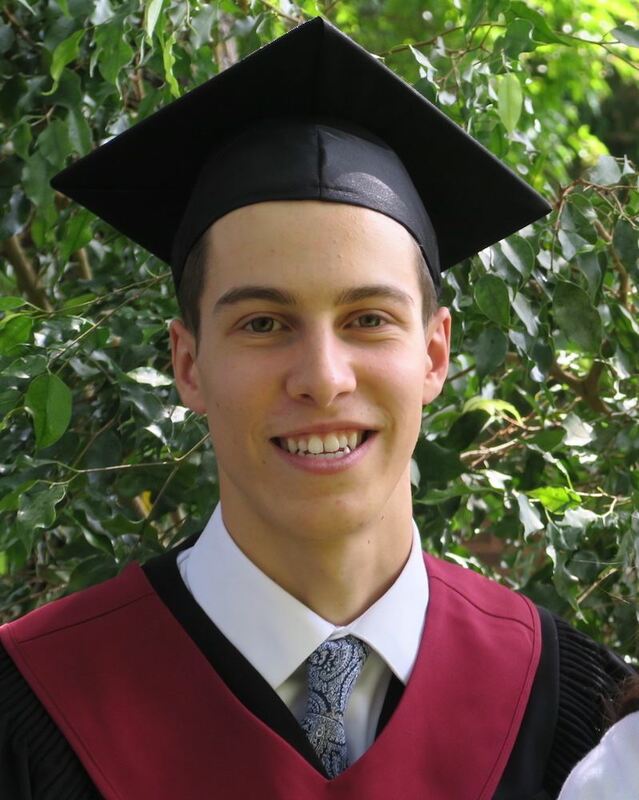 Graduating with honours, Braidan was president of student council and an active participant in all sporting activities including captain of the volleyball, basketball and soccer teams. Braidan’s contributions both inside and out of school earned him the Citizenship Award at graduation. Canadian born of mixed heritage, Braidan is proud of his Italian background which he feels has strongly shaped his identity. Presently attending the University of Winnipeg, Braidan hopes to study architecture and thanks to the Sons of Italy Scholarship, is one step closer to his goal.